Passages 3rd Editionis a two-level, multi-skills course that takes students of English as a second language from the high-intermediate to advanced level. It is designed to follow the Interchange Fourth Edition approach to listening and speaking by offering a communicative methodology that focuses on both fluency and accuracy. At the same time, it provides more opportunities to develop reading and writing abilities, as well as more challenging content to develop students' higher-level thinking skills. Level 1 takes learners from the high-intermediate to low-advanced level. Level 2 further extends the communicative abilities of students, bringing them to an advanced level. Download a sample chapter from the Student's Book in Adobe PDF. Download a sample chapter from the Teacher's Manual in Adobe PDF. Download mp3 audio sample from Passages Class Audio. For additional samples, please view the components above. 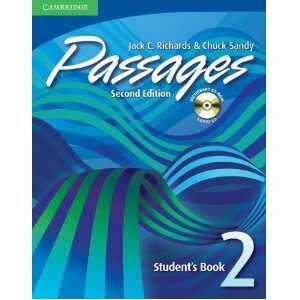 "I've really enjoyed using Passages in my class. The material encourages students to reflect on their own experience and to express it in their new language; this is invaluable! Passages has everything a good text should have: Interesting topics, a fine mix of activities, and a very attractive layout. I highly recommend it." "My students really enjoy the communicative nature of the tasks and we often expand into wonderful discussions which make for an exciting and rewarding class. I'm so happy with the New Interchange series. It's no surprise that Passages fits my students' needs perfectly." Q: What does it mean that Passages has a thematic syllabus? A: Each unit of the Student's Book is organized around a central topic or theme that is of high interest to the students, providing many opportunities for personalization discussion and promoting both linguistic and communication skills. Q: Are the reading passages authentic? A: Yes. The texts are adapted from a variety of authentic sources relating to the theme of the lesson and the necessary reading strategies and skills. 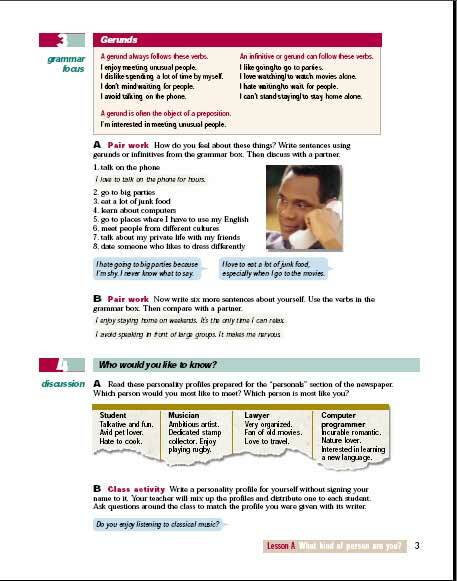 Also, the reading passages are meant to serve as a starting point for further group or class discussion. Q: What is contained in the Teacher's Manual? A: The Teacher's Manual has detailed suggestions on how to teach the course, unit-by-unit notes, suggestions for optional activities, complete answer keys and transcripts of the listening activities. Q: Are the cassettes recorded in North American English? A: Yes, but non-native accents are also used where appropriate. Q: What is the length of the course? A: Each level of Passages provides material for 60-90 hours of class instruction. 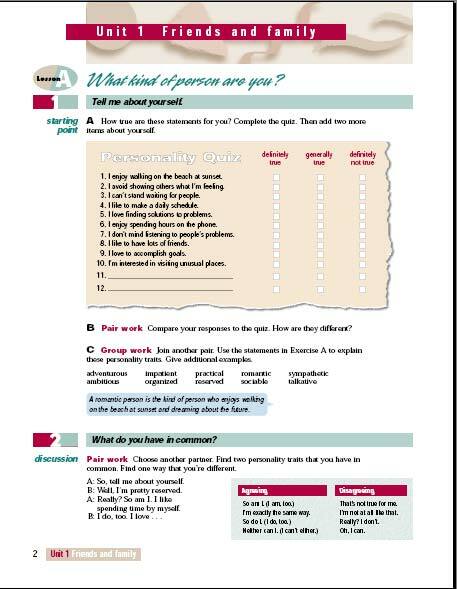 If more time is available, the Teacher's Manual provides Optional Activities to extend each Unit. We accept Purchase Orders only from schools and universities inside the United States. All others must prepay. Contact us with any questions.